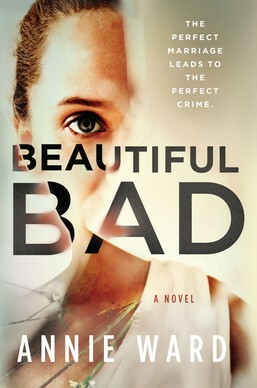 Crime by the Book: First things first, thank you so much for stopping by Crime by the Book to tell us about your brand-new thriller, BEAUTIFUL BAD. In one or two sentences, what is BEAUTIFUL BAD about? Annie Ward: My new book is a twisty psychological thriller that follows the evolution of a vicious love triangle that—as the result of a perfect storm combining PTSD with a traumatic brain injury—ends with the disintegration of a friendship as well as a family. CBTB: BEAUTIFUL BAD centers around a married couple, Maddie and Ian, whose picture-perfect marriage hides dark secrets. How would you describe these two characters to someone meeting them for the first time? AW: Maddie Brandt was a book-smart, altruistic Midwestern young lady who was up for a change from the boredom of her youth, and found excitement writing and teaching in Eastern Europe. Born in a rough suburb of Liverpool, England, Ian Wilson was the last of ten children raised by a widowed land-lady and pub cleaner. Without other prospects he entered the military at eighteen, and due to his intelligence, physical fitness and ambition, rose to the highest level of close personal protection in Eastern Europe; VIP Military Police body guard. CBTB: Let’s talk about the global sensibility of BEAUTIFUL BAD. When Maddie meets her future husband, Ian, she is working in the Balkans as a travel writer, and Ian is in the military. Why set their love story against such a tumultuous backdrop? AW: The main characters in BEAUTIFUL BAD have lived reckless, dangerous lives and are, in different ways, damaged by what they’ve experienced. At the time that they meet, neither of them has managed to overcome their addiction to living on the edge. Though they do eventually settle down, the plot hinges on the fact that they were risk-takers. I based the characters on real people who lived in the Balkans in the 90s. I felt it was important to have the characters meet in an exotic and somewhat treacherous place, not only because that’s where such people often find one another while escaping from “normality,” but also to help understand the origin of their toxic and ferocious attachment. CBTB: The way you write about Maddie’s experiences overseas felt hugely authentic to me. I loved all the details you injected into her story - everything from her little apartment to the (sometimes quite risky) trips she would take to visit her best friend felt vivid and so very real. Did you draw on any personal experiences when writing about Maddie’s time in the Balkans? Or was this all drawn from your own imagination and research? AW: I drew very heavily on personal experience. As a matter of fact, the very earliest draft of this novel was a memoir about my life living and working in the Balkans from 1996 to 2001. Thank you for saying it felt vivid and real. I moved to Sofia, Bulgaria when I was twenty-six and my memories of that special time in my life are incredibly colorful and detailed. I’m also willing to admit to some dangerous behavior—and doing many of the same things Maddie does in the book, including falling in love with a British bodyguard and marrying him after a long estrangement. CBTB: We can’t discuss BEAUTIFUL BAD without discussing the very complex female friendship at this book’s core. Tell us about Jo, Maddie’s best friend - who is she, and how would you define her relationship with Maddie? AW: I’m not sure I can answer this question without just telling you the whole truth. As you now know, the first draft of BEAUTIFUL BAD was a memoir. Joanna is based on my real-life friend Lindsay Moran, who was a main character in the memoir. When I turned the memoir into a psychological thriller, I definitely upped the ante by adding betrayal, lies and jealousy between the two women that only pre-existed as ordinary arguments between best friends. One thing I didn’t have to change however, is the fact that Joanna/Lindsay’s character was mysterious, outspoken, outrageous, fearless and loyal. Lindsay had been posing as a diplomat while in reality she was in the CIA, gathering information on Serbian war criminals. If Joanna is a complex, mercurial, sometimes unsympathetic character, it’s because she was based on a real woman who is even more complicated and covert. The relationship between the two women is obsessive but genuine love. If this sounds crazy, you have to check out Lindsay’s memoir BLOWING MY COVER: MY LIFE AS A CIA SPY. It was a NY Times bestseller and I am a character in it named Emily. CBTB: It seemed to me that anxiety and post-traumatic stress played a huge role in this story, both for Maddie and Ian. Why was it important to you to have your characters grapple with mental health in ways that are so central to the book? 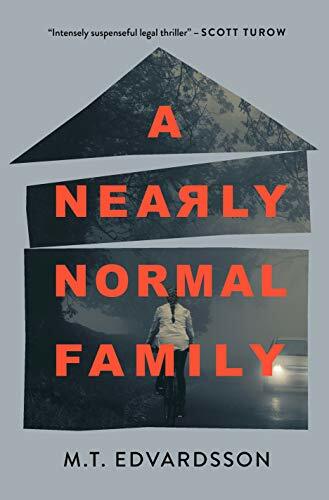 AW: In the earliest draft of the memoir, I wrote frankly about the ups and downs in the relationship I had with my husband, who had served fifteen years in the British military and seen horrible things in places like Rwanda, Bosnia and Iraq. I myself had never stopped suffering from anxiety and nightmares after a harrowing boating accident when I was young. I nearly drowned and I was never quite the same. It occurred to me in the middle of that first draft (and a few years into my marriage) that I was writing a romance about two people who truly loved one another but both suffered from varying degrees of PTSD. It was important to me that the characters be struggling against their demons, because that was my reality. I don’t much believe in perfect people or perfect relationships, and honestly, writing about it was cathartic. CBTB: I absolutely loved the structure of BEAUTIFUL BAD. Everything in this story builds towards a point readers know only as “The Day of the Killing,” and along the way readers travel around the world and back in time to learn the secrets of our protagonists. How did you go about plotting this complex story? Did you rely on an outline? AW: The first thing I wrote was the back-story; the romance and friendship between Maddie, Ian and Joanna leading on to the marriage and move to Kansas. My second draft, the fictionalized psychological thriller, introduced the writing therapy with the psychologist as well as the crime scene as a book-end to the doomed romance. My third draft dotted the book with more of the crime scene to root it more urgently in the present. The structure wasn’t quite right so… time to do that outline that should have been done a year ago! At that point, quite honestly, it was a mess. I had to clear my whole living room and put the chapters on the floor in sequence and move them around like checkers on a board until I got it right. It took days, especially since my dogs thought that the sight of me crawling around on the floor meant play time, so they kept prancing through my pages. CBTB: And speaking of “The Day of the Killing” - did you always know how you wanted BEAUTIFUL BAD to end? Did the story’s conclusion change and develop over time? AW: Oh no, this could be a spoiler. Let me just say this. I always knew the book was going to end in a murder. I suspected it might possibly end in two murders. It was up in the air. I was basically done with that draft. I celebrated with a glass of wine and then a walk with the dogs, which is when I have my best ideas. When I came home, I went into my office and spent a few hours in there. Later that night I gave my husband a new draft of the last chapter. When he’d read it, he looked up at me like he was in shock. He just stared at me and said, “No.” And I said, “Yes.” It was a last-minute decision and a lot changed in that final chapter over the next couple of days when I tried to get it right. CBTB: When you’re not writing crime fiction, do you also enjoy reading crime fiction? If so, could you share with us a few books you’ve recently read and loved? AW: Yes, I read all the time. For the last seven years my taste has definitely run towards psychological thrillers. As an English major at UCLA I mostly ready literary fiction, women’s fiction and classics but I find lately that so many thrillers are so incredibly well written that the line between literary and commercial has been blurred. My favorite reads this year (and they’re not all new) are THE KIND WORTH KILLING by Peter Swanson, THE PERFECT GIRLFRIEND by Karen Hamilton, LADDER TO THE SKY by John Boyne, OUR KIND OF CRUELTY by Araminta Hall and GOOD ME BAD ME by Ali Land. If you’ve read any or all of these books you will know pretty immediately what kind of characters I find intriguing. I gravitate towards diabolical geniuses and occasionally very black humor. AW: My new book is about an awkward but ambitious young lady named Natalie, who has gladly put her unexciting life on hold temporarily to look after her older brother who has been in a mountain biking accident. She finds herself desperately lonely in a remote and beautiful town in Colorado; the kind of place where she does not fit in but wishes she did. When she’s not taking care of her angry, bitter brother she hikes, tours the beautiful houses for sale, explores the town and tries to make friends. Then a local girl goes missing and odd-ball Natalie steps forward to help, claiming to have seen her in a bedroom in an open house. Nothing about Natalie’s story makes sense and the town turns against her. What was supposed to be a relaxing break from real life turns into a frantic search for answers to prove her innocence. As she learns more about the town, she realizes she is a pawn in a much larger game and nothing more than a disposable outsider. No one can be trusted; especially not her own brother. Many thanks to Annie Ward for so thoughtfully answering my questions about her newest book, and to her publisher for facilitating this Q&A! BEAUTIFUL BAD is on sale now.